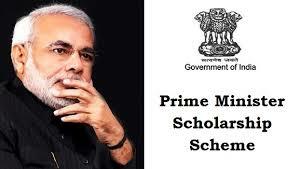 Who Is Eligible For PM Scholarship 2018? Its very good offer for the succeeded students. And who wish to go for higher education even though they are poor. God Bless You Honourable Prime Minister Sir Shri Narendra Midiji. can anyone please guid me how apply for this scheme. Its good, but how to apply for that is mystery.. I'm reading pharmacy can I apply for any of the scholarship if yes then which one ? What other criteria r there to select a student for a scholarship ? If I come under age criteria, can I apply for PG courses..?? Is there any fees like registration, entrance, application and under any other categories. How many scholarships are available for Maharashtra out of those 82 thousand? Please revert at sgk2100@gmail.com. Is there anything for BTECH Engineering???? how to apply for this ? How to apply for this job please help? Please tell how to apply?